Wow, what a cool place! Love the way you put the collage together. Well done collage, great shots! Nice looking bay. There was almost no infrastructure when I was in Guam around 25 years ago. (Given the location of Guam as the nearest American territory to Korea, the Philippines, Japan and China, I suspect that the majority of visitors come from there). Nice presentation. 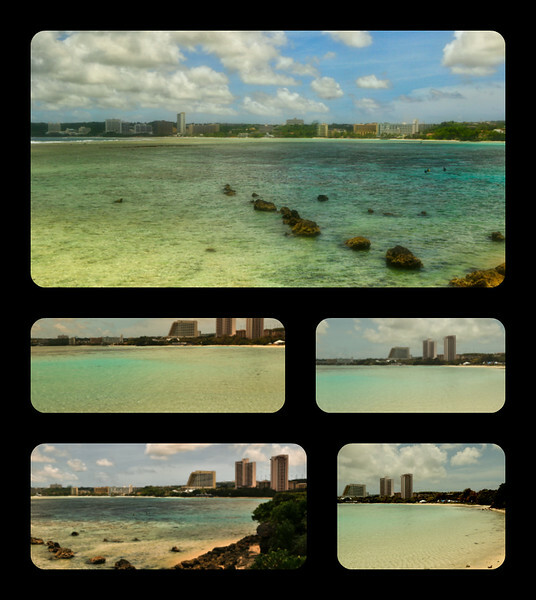 All of this makes me wonder where most of the tourists who visit the resorts on Guam come from. Wonderful series of shots and presentation!